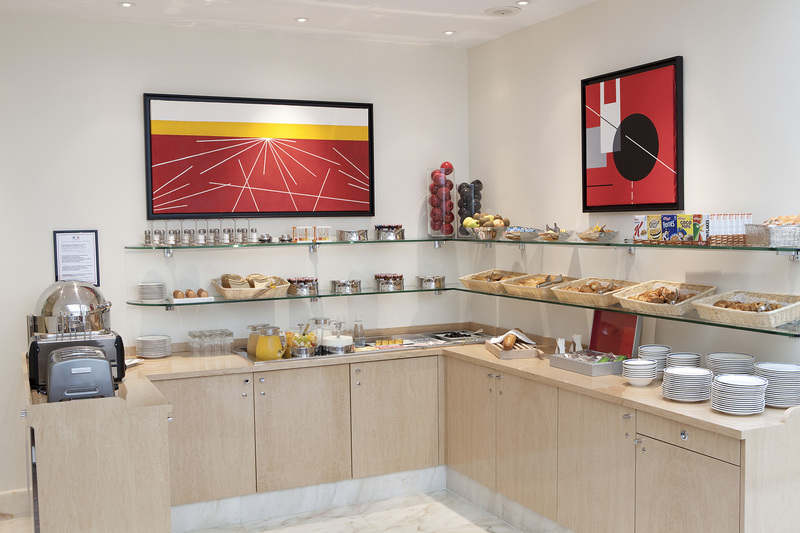 Our hotel offers you the opportunity to discover and enjoy a choice of three breakfasts. 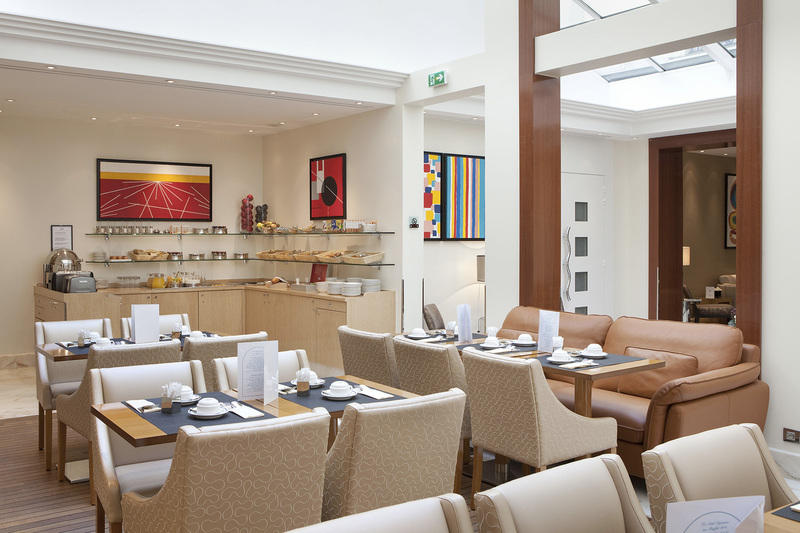 Our buffet takes place in our main breakfast room bathed by light thanks to its modern glass-roof. It is served every morning from 6.45 am to 10.30 am and offers a wide range of bread and pastries from our baker, fruit juices: apple and orange juice, cheeses : emmental, camembert and cream cheese to be spread, plain and fruit yogurts, cottage cheese, fresh fruit salad, cereals: cornflakes, muesli, coco pops, special K, a variety of butters, a large choice of jams, honey, Nutella, fruits basket, cooked meat, boiled eggs, scrambled eggs with or without bacon. All these delights are accompanied by a hot drink prepared on demand by our waitress : coffee, tea or chocolate. The price is at 16 euros per person and per day. 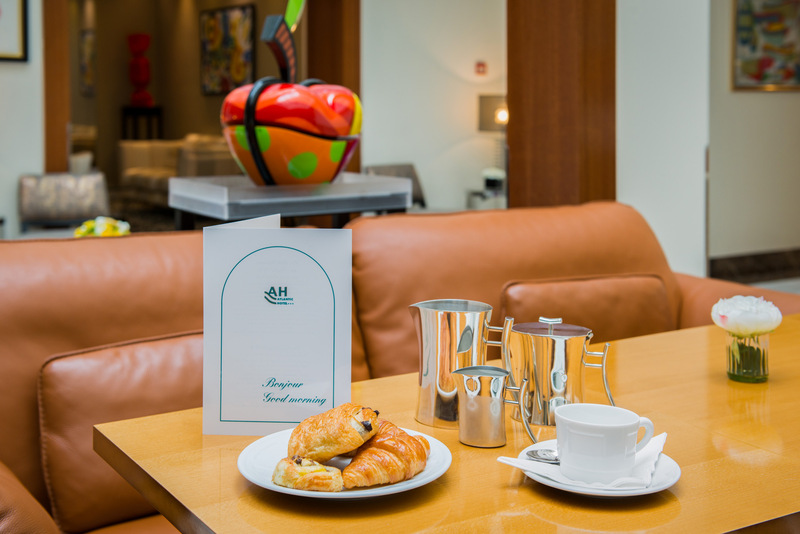 Our continental breakfast is served in your room; every day from 7.00am to 11.00 am and is offering : a hot drink at your choice (coffee, tea or chocolate), a fruit juice: orange or apple, a plain or a fruit yogurt, and from our baker an individual bread, a croissant, another French pastry, butter, jam and honey. The price is at 13 euros per person and per day. 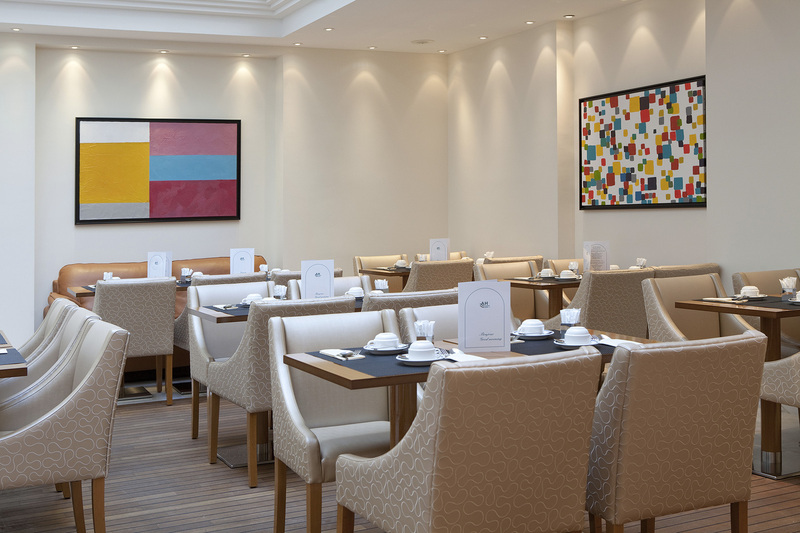 Our express breakfast is served every day in our second breakfast room located on the ground floor; from 7.00am to 10.30 am. You will enjoy : a hot drink at your choice (coffee, tea or chocolate), a glass of orange juice, an individual bread, 2 croissants freshly made from our baker, butter, jam and honey. The price is at 7 euros per person and per day.